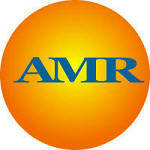 AMR Labs provide a wide range of brick and mortar repair products and services. We analyze samples of your mortar crushing analysis, acid digestion, and more . We analyze samples of your mortar and match them in color, crushing pressure, and color and gradation of sand. Get a perfect mortar match for your brick repair and tuck pointing needs. * Our mortar blends meet the required testing standards (ASTM C91 and are ASTM C270 compliant) as set forth by the ASTM standard for their specific type and function. Only Alamo Masonry Repair Products deliver the quality you deserve. Pre-Matched Mortars are custom made for your project making repairs easy, accurate, and efficient. Order bags of mortar mix pre-matched to your formula.